There is a fascinating aspect to Cutia Taranului. If you haven’t heard about it yet then it is a CSA (community supported agriculture) type of service which makes it possible for small scale, local producers to sell their produce directly to customers in the city. In most western cultures food production is largely controlled by large agro-businesses with a (growing) backdrop of small producers who sell to local communities. Here in Romania almost half of the population are peasants who feed themselves and make a scarce living by selling their produce. That means that Cutia Taranului has huge potential outreach … theoretically making it possible for half of the population to feed the other half. It excites me every time I think about. Supermarket chains who have invested heavily in their infrastructures all over Romania will naturally want to protect their investments. Owners of „market place shopping malls” (closed structures which were built where once there were simple, open farmers-markets which charged a symbolic fee) who charge peasants impossible space rental fees. Organized crime syndicates (which we know little about but have heard mentioned numerous times) who I assume have their vested interests. Government agencies that may be curious about higher levels of income. Peasants are currently registered as small producers and exempt from taxes (after all, no one expects a peasant to be make enough income to justify paying taxes). Government agencies that are used to and expect traditional methods of agriculture and may be threatened by change (our intentions is to change not just how peasant make money but more importantly how they work the land and how they grow food). Corrupt government officials … simply because corruption is a dominant force in Romanian government (national and local) who may either lose their foothold or be interested in getting in on the new action. Our first reaction to these potential threats is a smile. When Cutia Taranului reaches a point where it draws this kind of attention we’ll know we’ve done something wonderful. It is also amazing to witness how, from a sustainable/ecological perspective, the law and outlaws seem to come together through opposition. for peasants who we would like to be able to make a decent living and live a better life. for a peasant life style which is dying and we wish to see revived and refreshed. for city dwellers who we wish will be able to enjoy fresh, healthy and local food. for communities who will become healthier, stronger and more resilient through mutual support and self nurturing. 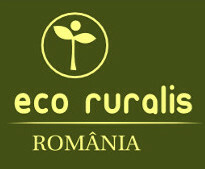 for Romania as a country that will reconnect with its peasant-nature and maintain its ability to feed and sustain itself. Anyone who finds themselves not aligned with these goals is not in conflict with us or with Cutia Taranului … they are in conflict with communities … maybe even in conflict with Romania as a country. This is what gives us peace of mind. Everyone who has, so far, joined Cutia Taranului (peasant and city-member) has done so based on trust, faith and excitement. THAT is what makes it a force to be reckoned with (should reckoning be required). Cutia Taranului has resilience designed into it. Once a relationship has been established between a peasant and box-members in the city … and once there are thousands of such relationships all over the country … there is no one central place you can go to shut it down. You can attack Cutia Taranului itself … but the ecosystem as a whole and the communities all over Romania will have a life of their own. However there is more. We assume that Cutia Taranului itself will require some kind of legal entity. This post is a great opportunity to reach out and ask for people that can help us to do this properly. If you are a lawyer or accountant that cares about this topic as deeply as we do and can help us create a healthy formal position to complement the organic ecosystem then please do contact us.